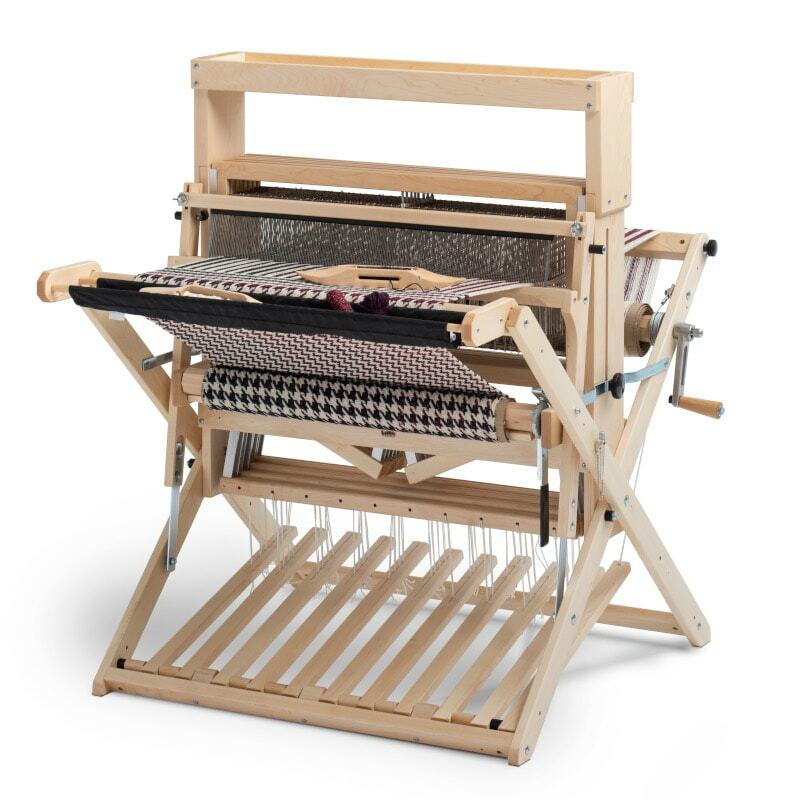 Our Baby Wolf loom (shown here with optional high castle tray) is the most uncompromising small loom available today. It has all the advantages of portability while maintaining the best big loom features. If compactness and portability are what you are looking for, you’ll be interested in this thoughtfully engineered loom.